The Glenn Beck Review: How does Secretary of State Beck sound? How does Secretary of State Beck sound? 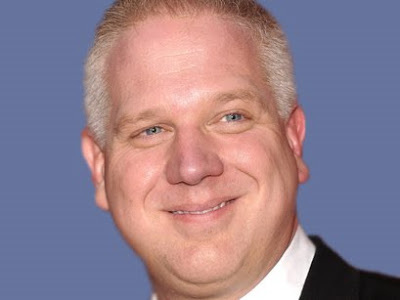 In 2009, then "moderate" presidential candidate Mitt Romney videotaped an introduction of Glenn Beck for an fundraiser for an unaccredited Utah-based college, George Wythe University, dedicated to the teaching the ideas of the extremist anti-communist and John Birch Society participant Cleon Skousen, the man who changed Beck's life. Skousen, who died in 2006, taught Romney when he attended Brigham Young University. Beck's followers will no doubt agree with Romney that he's "a statesmen in his own right." This introduction would only give them encouragement that maybe Governor Romney really is one of them and really worth supporting in this election. Beck's critics may laugh out loud at the idea that Beck, who was calling President Obama "clearly" a socialist and had told his radio listeners that Obama will "surely take away your gun or take away your ability to shoot a gun," is any kind of a "statesman." This introduction will reinforce their views that Romney is not qualified to be the next president. We want a president with good judgement. Then there are the slow to decide, low information voters, who have never heard Mr. Beck on the radio, have no idea who Cleon Skousen was and therefore have no idea what to make of this supportive, taped introduction. George Wythe University, deemed by the U.S. Dept. of Justice as a "diploma mill," is extremist. Cleon Skousen was an extremist. Glenn Beck was -- and still is -- a hard-core reactionary extremist, liar, propagandist, self-proclaimed "rodeo clown" and fear-monger. Romney ran in the primaries as having been a"severely conservative" governor and perhaps he was not just playing to the Republican base. It's hard to tell with the "etch-a-sketch" candidate who is willing to say anything, pander to anyone, remake himself in his audience's image, change positions as rapidly as necessary. Share this post with any undecided voters you know about.